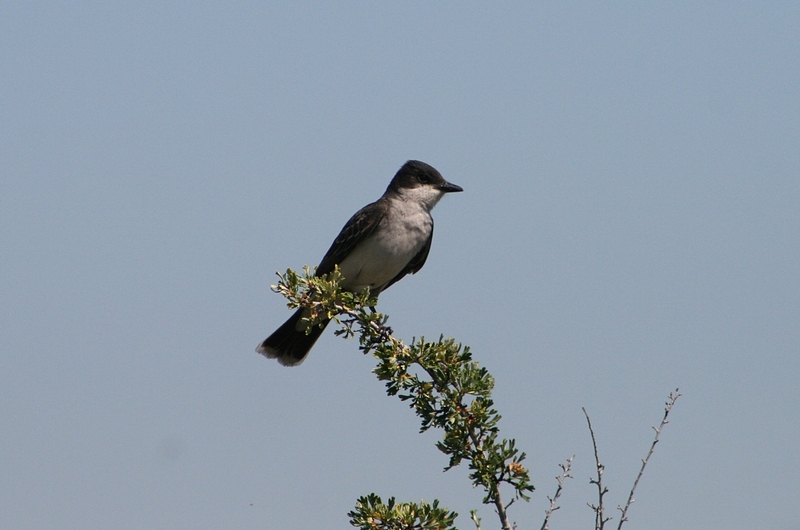 Speaking of kingbirds... here is an Eastern Kingbird, a favourite summer bird of my childhood in Ontario. They are a rare find here on the Pacific coast, but are locally common on interior grasslands. This handsome individual, perched on Antelope Brush was seen last week at the Osoyoos Desert Centre.